White kitchen cabinets are a popular choice among households today. One may be afraid that going for an “all-white theme” can be boring. This is probably because the color of white brings grace and serenity. Let Harbour View Kitchen & Bath show you that you can never go wrong with the color white. White is a universal color. This means that it can match any décor out there. If you want to highlight your countertops in dark colors or show off a cool piece of art, then decorating your kitchen in white creates an ideal backdrop. Furthermore, white matches any kind of style, whether you’re planning to opt for a modern or traditional look. It is important to have a source of natural light in the kitchen. However, there are times wherein the windows are not positioned correctly to provide ideal natural light. This is where the color white comes in. White is a bright color. Compared with darker colors that absorb light, white reflects light well, giving natural brightness the room needs. For many years, interior decorators have always used white to make areas seem larger. This color can create an illusion for a specific area to have more space. The color white is also associated with cleanliness and freshness. One area in your house that has a tendency to be always dirty is the bathroom. While we cannot always make it spotless, we can somehow make it look cleaner by changing our existing bathroom cabinets to white instead. 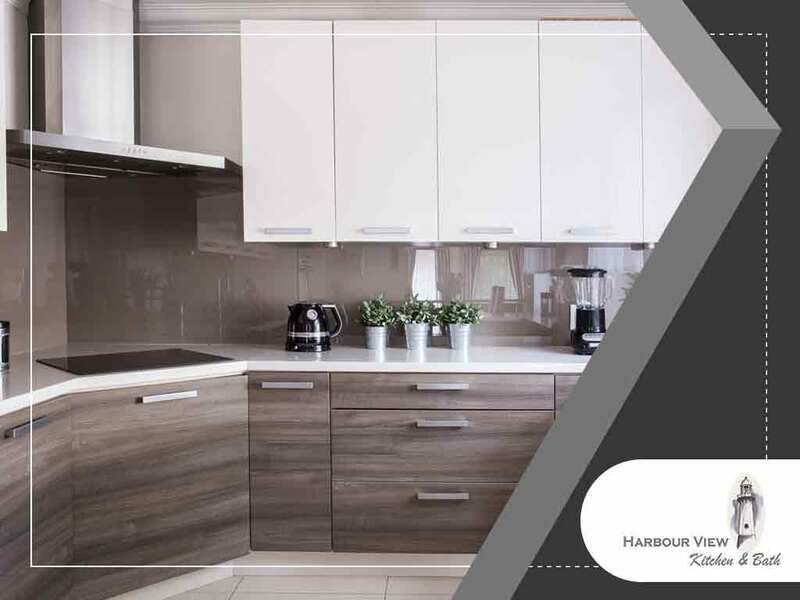 Harbour View Kitchen & Bath offers cabinets from superior brands in the country. All our cabinets are made in America. We have more than 30 years in the industry and you can rest assured that every item in our inventory is first subjected to extensive quality control before being offered to our clients. This is to ensure you receive only the best products available. Make us your source for high-quality cabinetry in Norfolk, VA. Call us at (757) 644-0848 today to get started with your bath or kitchen project!